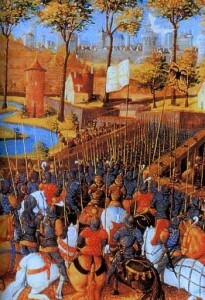 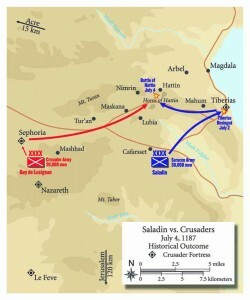 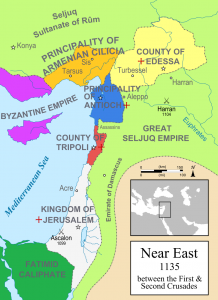 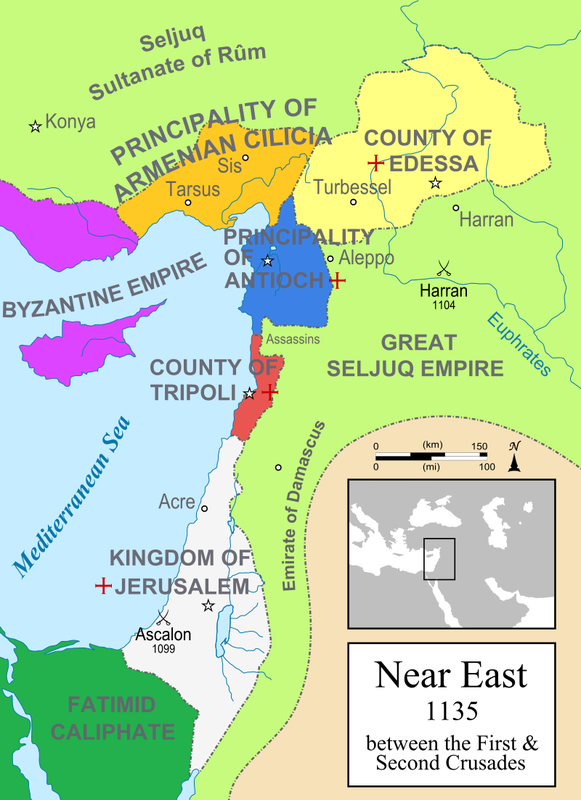 The Second Crusade (1145-1449), triggered by the Fall of Edessa. 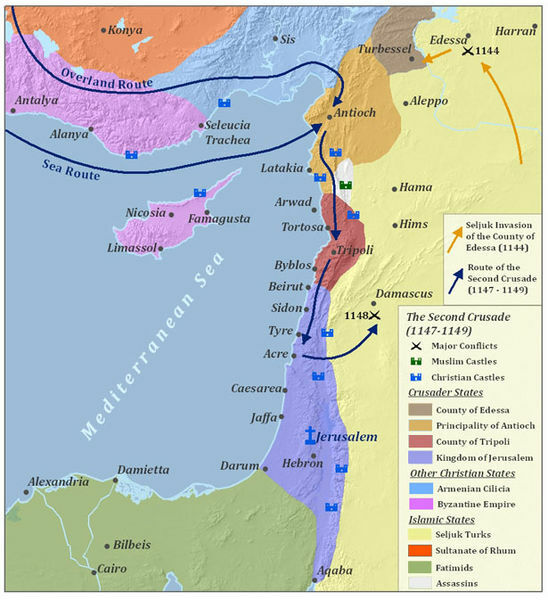 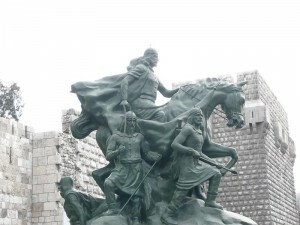 Conrad III of Germany and Louis VII of France lead the military campaign to boost the Crusader States in the Levant. 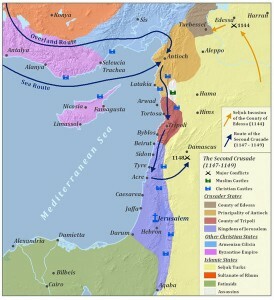 The first years of the Crusader States of the Middle East leading up to the fall of Odessa in 1144, which triggers the Second Crusade.